“A little leaven leaveneth the whole lump” (Galatians 5:9). We have to understand this is what Satan’s ministers do. They are up there preaching ‘Jesus’ and look just like they are of Christ, the scriptures clearly tell us this is the case with them (2Corinthians 11:12-15). The most deceptive lies are the ones closest to the truth. If they hold to anything that’s going to “accurse” us, and themselves as well, first, they need correction (Galatians 1:6-9). Bible says warn them twice in Titus 3:10, and to reject them if they don’t receive. These are crucial truths to be accepted, like the Gospel, and essentials of the faith that we can’t deny and have eternal life. Not every doctrinal difference calls for separation. Now if they rebel then you are to mark, avoid and expose them. (Romans 16:17,18, Ephesians 5:11,12) They are leading people astray. So you tell the church, “So and so is teaching another gospel.” It’s not gossip and slander like people want to call it. It’s in the open, leading people astray. So the exposé is not revealing anything behind closed doors. Instead, someone is ignorantly or proudly teaching heresy out in public, or maybe their doctrinal statement of faith denies Jesus is God, or something else. Well, it’s deceiving openly, so we are to correct openly. It’s just sad when people don’t want anything said. The Bible calls these people, evil doers, and wolves, and we need to know them and separate from the rebels. That’s not hate. That’s obedience, and love, to keep the sheep away from them. You already know that God wants his church without spot, or wrinkle. Well don’t play with the wolves then. They are in the church as written in Jude. That’s sad when people know someone is a heretic but they want to get a word from them. God says don’t give them God speed or you are a partaker of their evil deeds (2John 1:8-11). I could possibly listen to someone like Creflo Dollar, and his whole sermon could be biblical, and helpful, but because I know his gospel, it’s wrong and disobedient to God. We don’t need a word from heretics go to God, or a sibling in the faith. Is America rooted in the gospel of Jesus Christ? Where the founding Fathers of America believers in the gospel, and the God of the Bible? These questions are important, because the average Christian is taught to think about the founding fathers, and the American revolution, as though both are rotted in Christianity. Many are also taught that Christian political activism, and its war against the dominate liberal culture of America, is their Christian duty in America. A quote from Thomas Paine, one of the founding fathers, and the author of “Common Sense” and “The Age of Reason” proves that the claim of America being a Christian country, that was founded by Christians, should not be trusted, but further examined, because below is a clear, and bold, rejection of Jesus Christ, and the gospel. *Mary, the supposed virgin-mother of Jesus, had several other children, sons and daughters. See Matthew, chap. xiii, verses 55, 56.
is already stated in the former part of the Age of Reason, that the Christian faith is built upon the heathen mythology. How important is Thomas Paine? 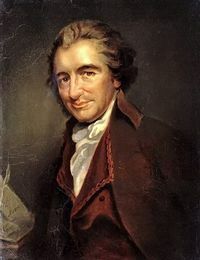 In his book, “The age of Reason”, Paine openly rejected the gospel of Jesus Christ, and affirmed Deism as the true religion. Thomas Jefferson, and John Adams, were also Deists. 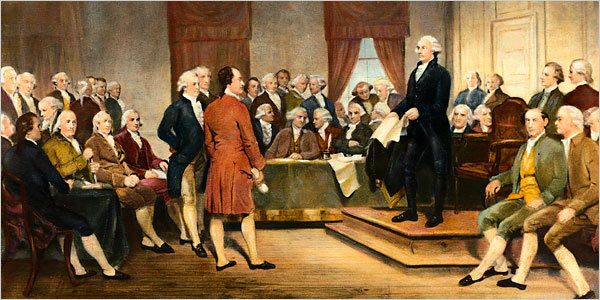 To learn more about the religious views of America’s founding fathers, click on the link entitled “The Hidden Faith of the Founding Fathers“. The founding fathers of America established the American Constitution, which many American Christians have been deceived by. The deception is the belief that God wants Christians, and the common citizens, to revolt against tyrants, such as the king of England, and anyone who tries to change the constitution. Does God want the common citizens to rebel against those in authority? Does Christ want his followers to rebel against their oppressors. 17 Honor all people. Love the brotherhood. Fear God. Honor the king. 1 Let as many bondservants as are under the yoke count their own masters worthy of all honor, so that the name of God and His doctrine may not be blasphemed. 2 And those who have believing masters, let them not despise them because they are brethren, but rather serve them because those who are benefited are believers and beloved. Teach and exhort these things. Indeed, the founding fathers of America has led many Christians astray during the time of the revolution. However, they have been dead for almost two hundred years. Therefore, Christians are not being led astray by the founding fathers today. Instead, those who are still promoting the idea that America is a Christian nation, that was founded by Christians, are the real problem in the church. They must be corrected, because they are misleading, and confusing Christians throughout the church in America. 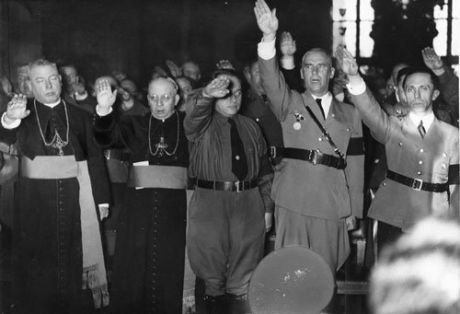 Also, some, such as David Barton, Peter Lilback, and Kirk Cameron, have dedicated themselves to deceiving Christ’s church in America into following a false Christianity, which is a nationalist cult, which claims to be Christianity, but is really just a, dominionist, social gospel. According to Scripture, these kind of people must be marked, and avoided. 17 Now I urge you, brethren, note those who cause divisions and offenses, contrary to the doctrine which you learned, and avoid them. 18 For those who are such do not serve our Lord Jesus Christ, but their own belly, and by smooth words and flattering speech deceive the hearts of the simple. 19 For your obedience has become known to all. Therefore I am glad on your behalf; but I want you to be wise in what is good, and simple concerning evil. 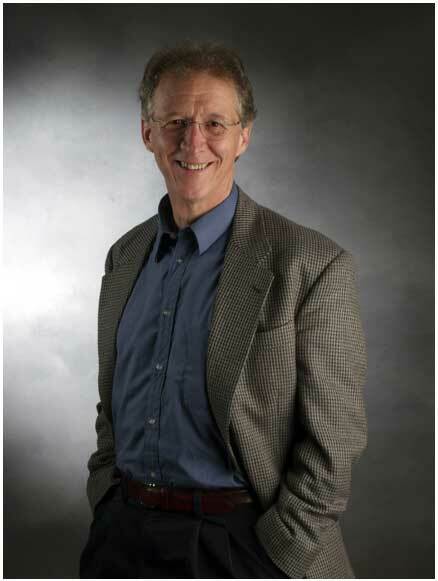 The Reformed Calvinist teacher, and internationally known author, and speaker, John Piper, has shown himself to have Roman Catholic tendencies. Piper is a former student of Fuller Theological Seminary, which has trained a number of emerging church leaders, such as Rick Warren, Tony Jones, and Rob Bell. The seminaries’ faculty has consisted of heretical teachers, such as it’s former president, C. Peter Wagner, of the New Apostolic Reformation, John Wimber, of the Vineyard Movement, and the universalist, Thomas Talbott. John Piper has also attended the University of Munich, which was known for being under the control of the Jesuit order, during the 16th, 17th, and 18th centuries, because it is one of their many tools during the Counter Reformation. The University of Munich is also the same college that the former pope, Benedict XVI, attended. Or take hymns! How unabashedly hedonistic they are! Hymns are the voices of the church’s lovers, and lovers are the least duty-oriented and most God-besotted people in the world. We turn unfilled to Thee again. The quote above is taken from Piper’s book on “Christian Hedonism”, which is a perversion of both God, and the gospel. One of the origins for Piper’s deceptive philosophy of hedonism is, according to John Piper, the Roman Catholic heretic, Blaise Pascal. “During my first quarter in seminary, I was introduced to the argument for Christian Hedonism and one of its great exponents, Blaise Pascal. He wrote: ‘All men seek happiness. This is without exception. Whatever different means they employ, they all tend to this end. … The will never takes the least step but to this object. This is the motive of every action of every man, even of those who hand themselves.’ This statement so fit with my own deep longings, and all that I had ever seen in others, that I accepted it and have never found any reason to doubt it. … Jonathan Edwards tied it [Pascal’s statement] to the Word of Christ: ‘Jesus knew that all mankind were in the pursuit of happiness. He has directed them in the true way to it, and He tells them what they must become in order to be blessed and happy’” (Desiring God, location 198, 212, 3761). The Roman Catholic Blaise Pascal was a brilliant mathematician but he was also a theological heretic and a deeply confused man, spiritually. Though he attacked some aspects of Romanism, he accepted the papacy, the mass, the saints, Mariolatry, and veneration of relics. He was deeply influenced by the blind mysticism of Jansenism and he spent a lot of time in the convent where his sister was a nun and where Catholic mysticism was practiced. In late 2011, Piper has also taught a form of Roman Catholic Mysticism, known as Lectico Devina Lite on his website, and removed it after a backlash of controversy. Update: Formerly I listed Lectio Divina as a third system for prayer. I’ve since removed it for the confusion it has caused. We do not endorse contemplative spirituality. The main point I’d like to recommend is using the text of Scripture as an organizer for our prayers — prayers that are exegetically faithful and gospel rich. I’m sorry for introducing the category. 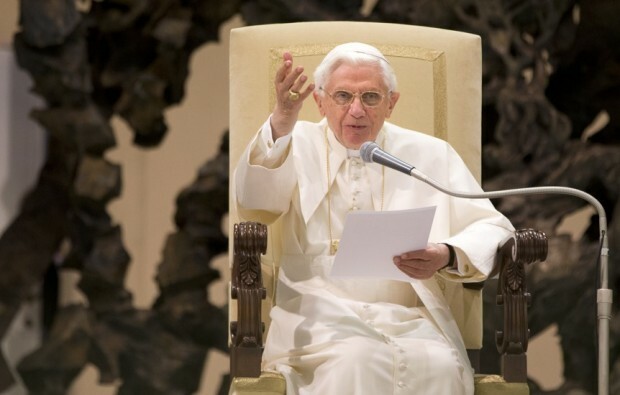 “If this practice is promoted with efficacy, I am convinced that it will produce a new spiritual springtime in the Church,” stated the Holy Father. 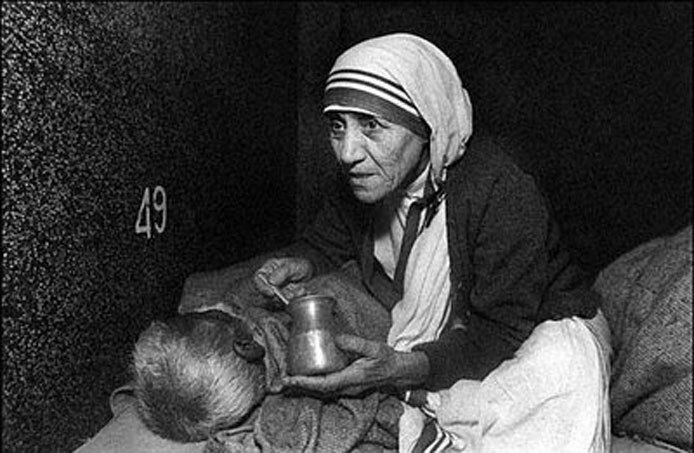 “One must never forget that the Word of God is a lamp for our steps and a light on our path,” he said. Piper has also practiced Lectico Devina with Beth Moore, at the Passion 2012 conference. 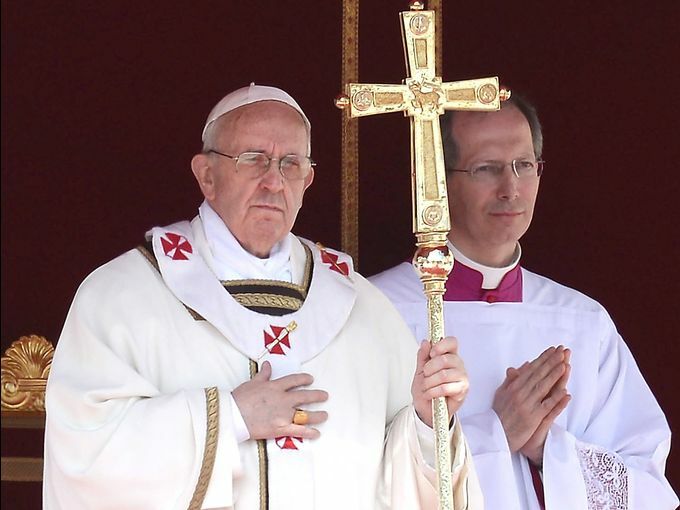 John Piper also talks as though he believes that Roman Catholicism is part of Christ’s church, while also teaching that the pope undermines the faith of his followers. He does this by calling the pope one of the teachers of the church. Nevertheless, God’s mercy is not a warrant to neglect or deny precious truths, especially those that are at the heart of how we get right with God. And the teachers of the church (notably the Pope) will be held more responsible than others for teaching what is fully biblical. Thus, any church whose teaching rejects the imputation of the righteousness of Christ as an essential ground for our justification would be a church whose error is so close to the heart of the gospel as to be involved in undermining the faith of its members. Piper has also made a public prayer on Twitter for the next pope, as though God might use the office of this age old enemy of Christ, the gospel, and the church. O Lord of truth and mercy, put in place a Pope most willing to reform the Catholic Church in accord with your most holy word. What should believers do about people like John Piper, who causes divisions, and offenses concerning the doctrine of Christ, and the gospel? They must remember that a bad tree cannot bear good fruit. They must mark, and avoid them. They must let these kind of people be accursed. 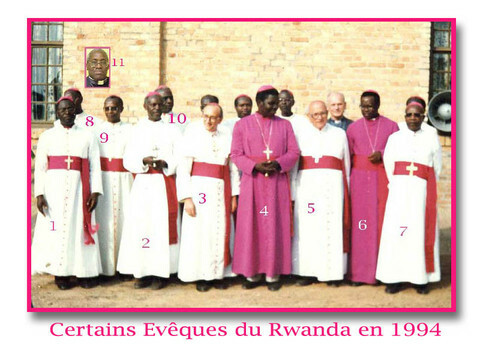 7 which is not another; but there are some who trouble you and want to pervert the gospel of Christ. And they must not take delight in them, nor promote them. .9 Whoever transgresses and does not abide in the doctrine of Christ does not have God. He who abides in the doctrine of Christ has both the Father and the Son. 11 for he who greets him shares in his evil deeds.